Lately, I’ve been reading a lot about the roots of the Church of the Nazarene. As with any denomination, God uses specific groups of people to accomplish unique things. No doubt, the men and women that called themselves Nazarenes in the early days were catalysts in the 20th Century Holiness Movement. Phineas F. Bresee, founder of the Church of the Nazarene, left the Methodist Church much the same way John Wesley moved away from Anglicanism. Bresee helped organize the “Peniel Mission,” which was a nondenominational ministry focused on helping the poor and needy. The Methodists didn’t like this endeavor; they were afraid it might hurt the image of the church. Bresee was then forced to choose between the Mission and the Methodists. He chose the Mission. The rest is history. Today, we seem to be doing great at “working the edges,” but I’m not sure we’ve got many “red hot centers of fire,” at least not in the northern hemisphere. This is a problem. Without the infilling of the Holy Spirit, our efforts are fruitless. We can know God, yet become unfamiliar with the ways of God. This is where I think we could learn a lot from our brothers and sisters in the southern hemisphere. We need more than form; we need power. For years I’ve been praying for an authentic revival, not rule-based legalism or manufactured emotionalism, but a genuine awareness of the presence of the Holy Spirit empowering people for the work of the kingdom. The Holy Spirit is the fire that keeps the center hot. If we neglect the center, how can we expect the fire to spread to the edges? We serve the same God that parted the Red Sea, walked with Shadrach, Meshach, and Abednego in the furnace, and filled the early church with enough power and courage to turn the world upside-down. Personally, I am more awake than I’ve been in years. It’s hard to understand, actually. This certainly hasn’t been the easiest year of my life. Yet there is a sense of fulfillment that’s indescribable. A year ago I was struggling with my assignment. I’d been pastoring for almost two decades and had become accustomed to the rhythms and seasons of pastoral ministries. I had a system of vision-casting and team leadership that seemed to work. Suddenly, I was in a new role that felt like managing chaos. I am extremely type-A. Therefore, this bothered me greatly. At District Assembly, something changed. Actually, leading up to assembly I began to feel different about my ministry. There seemed to be a shift. Alignment was being realized. Purpose was becoming clear. As I gave my report on Sunday night June 5th God came in a special way. It wasn’t anything I planned. Yet, God used a moment in time to remind me that he still manifests his presence in ways that we cannot anticipate. When he shows up everything changes. God is doing a new work in Kentucky. I love the people here; they are hard-working, committed, and kind. I am in awe of the church planting and revitalization efforts. I get calls, texts, and emails from pastors several times a week with of stories of people experiencing the transforming power of Jesus. I’ve actually had four calls today. A year ago, I dreaded hearing my phone ring, now I look forward to it. God is moving in unacquainted ways. We realize that we’re only skimming the surface of what could be. However, it’s exciting to catch a glimpse. We are learning that holiness is not merely a doctrine to be articulated. Instead, it’s Person to be encountered and a life to be experienced. God is using our denomination’s emphasis on church planting and revitalization to bring a real sense of renewal. I’d like to publicly thank Bill Wiesman and his team for their tireless efforts. God is also using an emphasis on corporate prayer to turn the hearts of his people back to himself. I am grateful for the vision of Corey Jones and others as they work to bring prayer back to the center of the church. 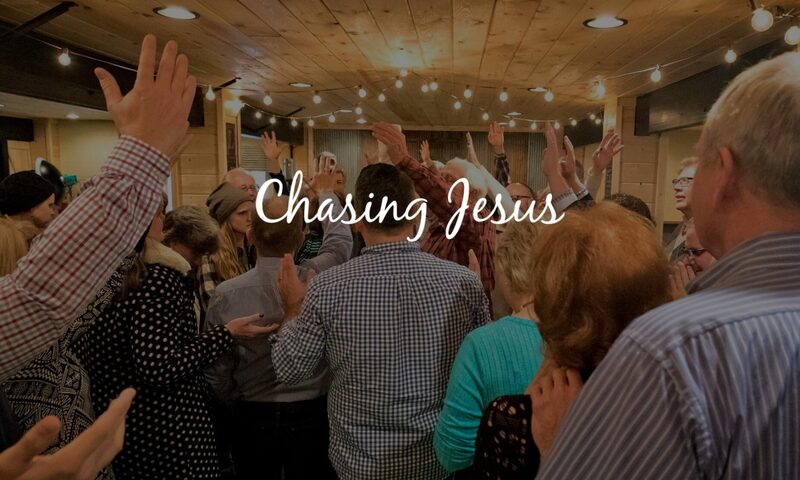 I believe if we would intentionally connect corporate prayer, church planting, and congregational revitalization, we would experience God’s presence in ways we haven’t in our lifetime. We have NMI, NYI, SDMI, and DCPI… I believe we need PDGI (Pray Down the Glory International). Just think, we’d never have to attend another church growth conference. The Church of the Nazarene was born in a holiness revival. That’s who we are; it’s in our DNA. As we talk about the future, I hope we’ll consider the past. We certainly shouldn’t attempt to recreate it. However, we should consider the distinctiveness of our story. We aren’t Pentecostal, although we share history with the Pentecostals. We aren’t Anglican, although we share history with the Anglicans. We aren’t Methodists… well, maybe souped-up Methodists. We are Nazarenes. We started in a church affectionately referred to as the “Glory Barn.” May we never forget who we are as we’re figuring out where we’re headed. I hope our future includes an even greater emphasis on prayer, planting, and revitalization. In fact, if those things become our only focus, we would look a lot more like the pioneers of our movement. They didn’t create strategies for church growth, evangelism, and social justice. They just did it. They lived with a holy discontent because they had a holy encounter with a Holy God. They believed the experience of holiness was one that could transform all of society. Fire is contagious. Maybe we could start with the prayer often used by our founder, “Bring the Glory down, Lord.” Go ahead; try it. Are you okay with that prayer? Or does it feel too old-fashioned? We should be careful not to put God in a container with an expiration date. You can’t take the Holy Spirit seriously and not take the glory of God seriously. When the center is blazing, people are consumed. Void of the fire of the Holy Spirit there is no holiness movement to speak of. Agree with this whole article. Praying for national and global revival, starting in our local churches. God is wanting to manifest Himself in the ‘glory’. Watching. Anticipating. Praising for it! This is exactly what it takes to “Bring the Glory Down”! There is nothing like the anointing of the Holy Spirit!!! I have to die out to my will to have His, and His presence is worth everything!!! Love Him so!! !